Mass is Dead. 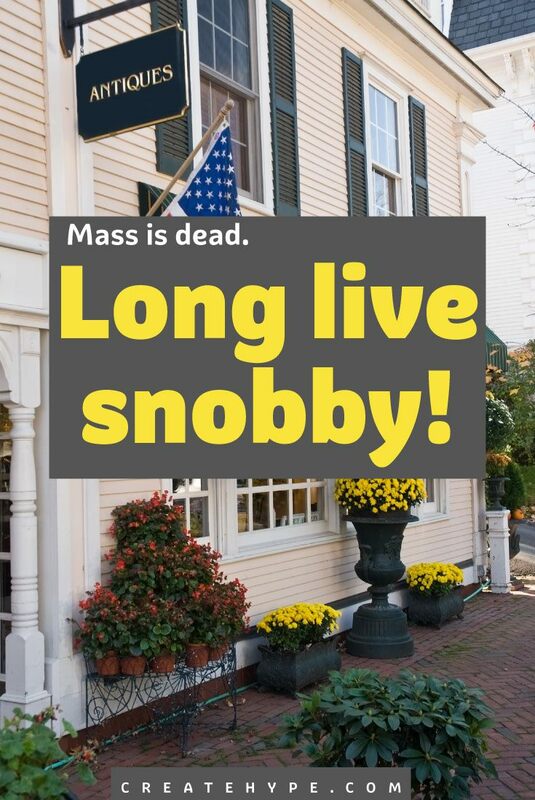 Long Live Snobby! Mass marketing is dead. Seth Godin said so. I say so. And I get the sense you believe it. But are you practicing this realization? It’s no longer enough to create a product or marketing campaign targeted at “normal” people. Run of the mill is run right out of business. Niche is where it’s at. It’s near impossible to create a business that caters to too small of a niche. Yet, people still run from snobby. Megan and I joke that we love being snobby. Well, it’s not a joke. We do love it. We’ve taken snobby from the rich, stuck up girls we went to high school with and reclaimed it for tastemakers & original thinkers everywhere. 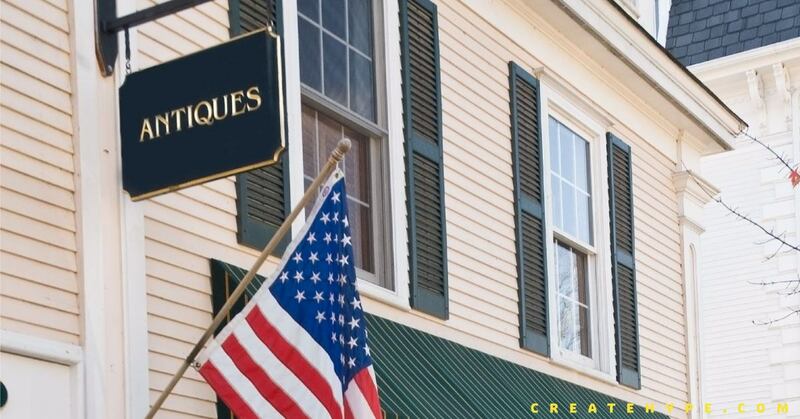 Being snobby is being confident in your good taste and attracting those with similar taste to you & your business. Being snobby is not about judging others. Or calling names. Being snobby is empowering and liberating. In the New Economy, there is room for us all. But we all need to own our own taste, our own ideas, and our own point of view. The more you communicate your own unique taste, the more attractive your offers are to your right people. It doesn’t matter if your taste is all your own. Or if there are others who have different taste. In fact, that’s a good thing! Be confident in your own personal style – your own personal philosophy – and communicate it confidently in your marketing, media relations, social media, sales copy, and packaging. Support your customers snobbery by letting them know they’re not alone. The fact that they haven’t liked what’s for sale or that they haven’t find the “right” person for the job yet means that you can be that person. Bringing them together in a group of likeminded individuals might just be the best thing that’s ever happened to them. Support your competitor’s snobbery by celebrating your differences. There’s no room for judgement when you’re genuinely happy to point potential customers to a merchant who can serve them better. Take joy in the fact that you don’t have to serve customers who don’t jive with your idea of style or philosophy and pass on the good fortune! Don’t ever lose site of the special qualities you bring to your work. Use every opportunity you can to tailor each offering you have to your unique taste or philosophy. Your customers will thank you for it! How have you been avoiding your snobby side in business? If what you say is true, it’s the best possible news for a business like mine. I do differ with one point though: don’t all questions of taste require that one make judgements? While the general public often bristles at the idea of an aesthetic hierarchy, isn’t that what the idea of “good taste” suggests? I have to agree with your post here. There was once a time when we could cast a big fishing net and take whoever we want as customers. Now, I would rather cater to a smaller group of people who are in alignment with me and my values. I love it Tara!! I worry that my price point is too high but I know that the women who wear my jewelry have disposable income and can spend it without a second thought. So freeing to not have to think about casting a wide net. I’ve never forgotten my tutor telling me snobbery is good. Years later I SO get it. It shows an aquired taste, an edited selection of quality. We cant ‘like’ everything and ‘Love’ even less. I ‘Love’ my work and make limited edition collections of carefully curated Vintage Japanese Kimono Silk Cushions. They are definitely niche and its taking time to find my audience but have success with my established customers, many of whom place second and third orders.